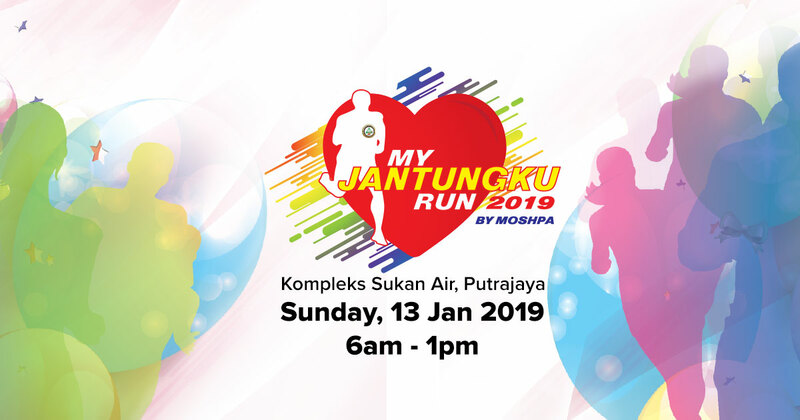 Kuala Lumpur: The Malaysian Occupational Safety and Health Practitioners’ Association (MOSHPA) have announced that they are organizing a 5km fun run at Putrajaya’s Complex Sukan Air on 13th January 2019. Although occupational safety and health management is not a laughing matter, both fitness activities and laughter reduce the risk of cardiovascular diseases, heart attacks, and strokes. 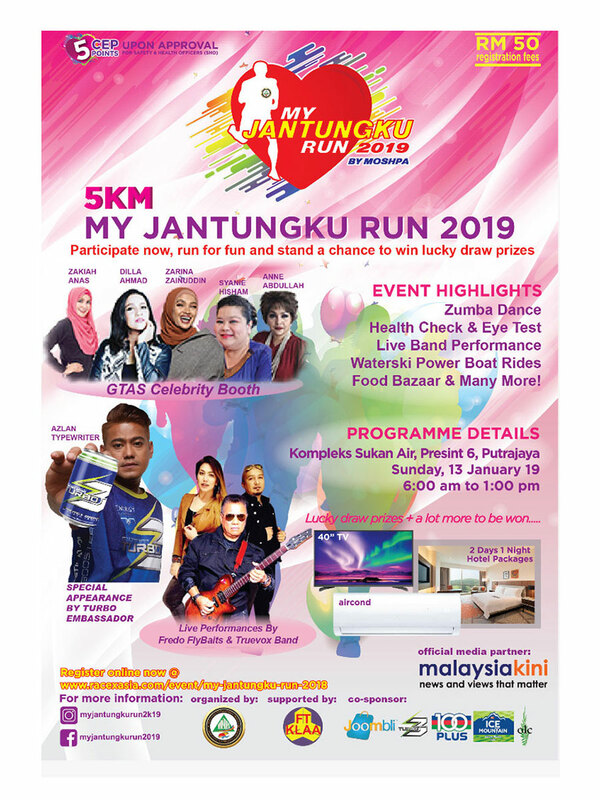 The event of the day hopes to ensure that everyone will get a little bit of both by including a Zumba session, a 5km fun run, musical entertainment by well-known local artistes, food and beverages, and carnival games to entertain the children. General health checks will also be available for anyone interested in finding out if they need to go for a more detailed health examination. 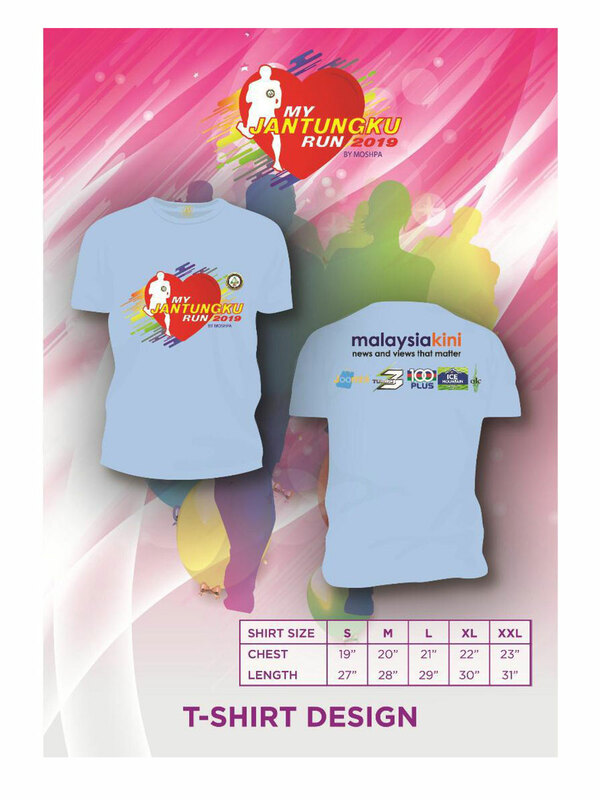 Registering for the run costs RM50, and can be done online at RaceXAsia.com. Running can help keep the heart healthy, improves moods, and lose weight – which may also boost your immune system. Although walking doesn’t burn as many calories, there is a lower risk of injuries compared to running, while still helping to reduce hypertension, high cholesterol, and the risk of diabetes. 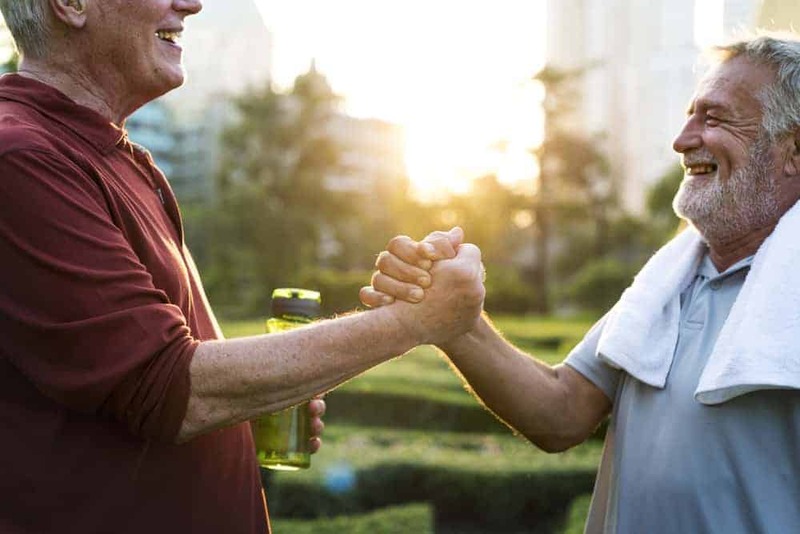 Increased physical fitness increases mental alertness, and reduces the risks of injuries, slips, trips, and falls, and other associated sick days. MOSHPA was registered in 1997, and since then has held several events each year including fun runs, awards ceremonies, and training programs, to promote safety and health culture. If you would like more information about this topic, please contact Mr Adrian Doshi at 016-681 4556. In a study conducted in JAMA Dermatology, researchers at Northwestern University Feinberg School of Medicine discovered that even though 93% of their clinic attendee purchased a sunscreen, most of the people have a lack of understanding on the terminology used in a sunscreen label. Fewer than half of the participants were able to identify correctly the terminology used on the label. UVA, UVB, SPF, broad-spectrum, and PA, they may all seem confusing to consumers. Are you as confused? Worry not, as this article will explain all the commonly used term for this essential product. Is it a sunscreen or a sunblock? Sunscreen: Sunscreen filters or screens the sun’s ultraviolet (UV) rays. Also called chemical sunscreen, it keeps most of the rays out but lets some in. It is more commonly used than sunblock. It utilises a variety of chemicals that work to absorb harmful UV rays before they penetrate your skin. Sunblock: Sunblock or physical sunscreen reflects the sun’s rays from the skin. It blocks the rays from penetrating the skin. Most sunblocks utilise titanium oxide or zinc oxide as the active ingredient. There are many different types of rays present in sunlight. The rays that are most damaging to our skin are called ultraviolet (UV) rays. UVB and UVA are the two basic types of ultraviolet rays that reach the earth’s surface. UVB rays are responsible for producing sunburn. It’s easier to remember UVB cause burning. 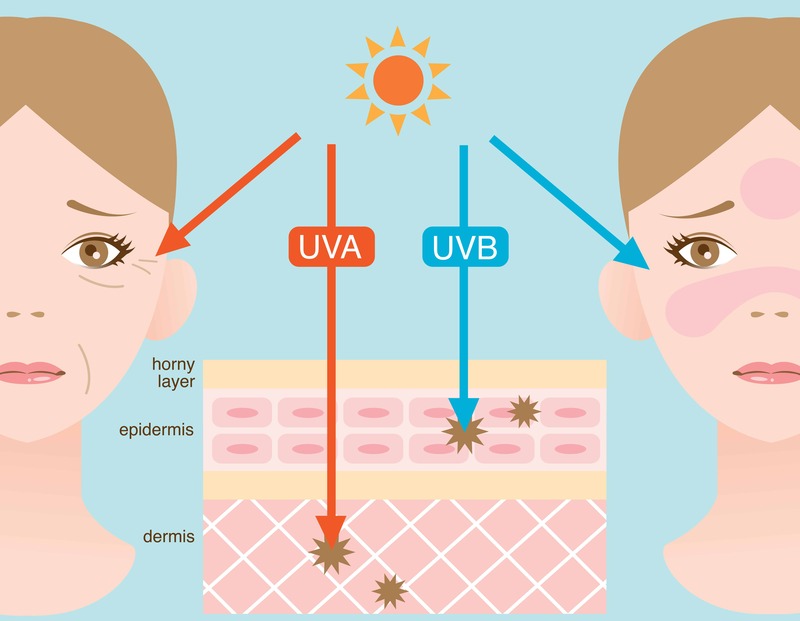 The UVB rays also play the greatest role in causing skin cancers. UVA rays also play a role in skin cancer formation. It also penetrates more deeply into the skin and plays a greater role in premature skin aging changes including wrinkle formation. Hence, remember UVA cause aging. There are approximately 500 times more UVA rays in sunlight than UVB rays. UVA is around every day and it can penetrate through window glass and the cloud. SPF stands for the sun protection factor. It measures a sunscreen’s ability to filter UVB rays. SPF of 30 means that technically, you could be out in the sun 30 times longer before you get sunburned than you would be able to if you went out without sunscreen, as long as you keep reapplying it appropriately. Hence, the difference between SPF 30 and SPF 50 is only a 1% filtering improvement. If the sunscreen is reapplied every two hours and use in the right amount, using SPF 30 sunscreen is enough for typical adults. Since SPF only measures protection against UVB rays, UVA coverage is indicated by the word ‘broad spectrum’. Most active ingredients in sunscreen shield against UVB, but far fewer have UVA coverage, and only a handful offer both. A sunscreen that combines both physical and chemical sunscreen usually have a broad spectrum property. What about PPD and PPA? Any sunscreen that protects against both UVA and UVB rays qualifies as broad spectrum. 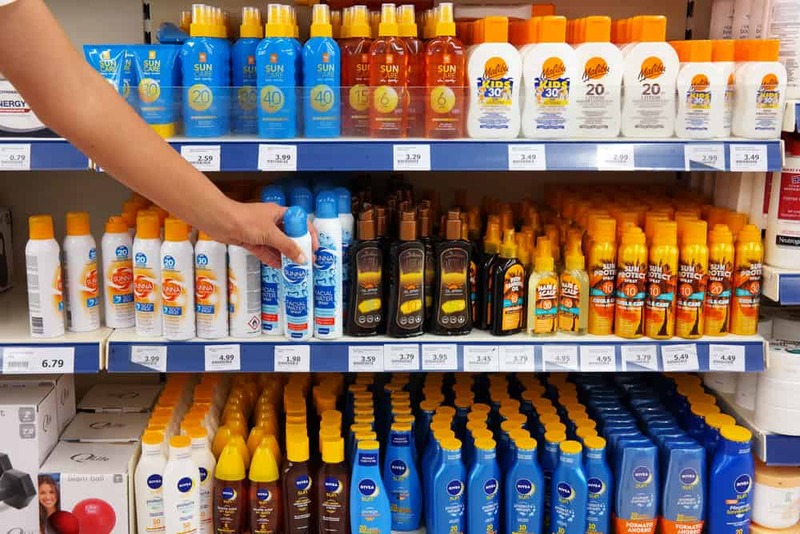 There’s some criticism from consumer advocates that the standard allows any sunscreen that provides any measurable protection from UVA rays as broad spectrum, even if that protection is very low. PPD (Persistent Pigment Darkening): Used in Asia and Europe, a PPD of 10 means that it’ll take around 10 times longer for your skin to tan, compared to if it was unprotected. This article contributed by Hello Doktor and republished by Voiz Asia upon permission. 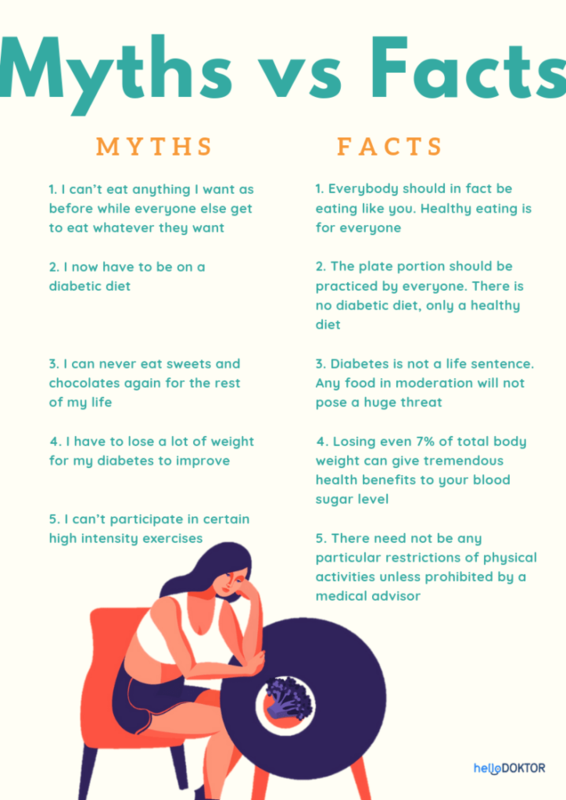 As diabetes is usually linked to those with excess weight, lack of exercise, and unhealthy eating habits; many who have been diagnosed worry that they would have to make drastic changes in order to lead a normal life. The word ‘diabetes’ to them may invoke the image of restrictions, lifestyle changes, excessive control, loss of freedom, deprivation, medication, sadness, and many more. However, that is not the case. Many individuals who have diabetes need only to start with some tiny changes in order to see vast differences in their blood sugar level. Although having diabetes may necessitate certain lifestyle adjustments to control blood sugar levels, it is more important for a person with diabetes to open up to changes before diving into changes. It would be a good preparatory act to ask yourself ‘Why’ should I change my habits and what would happen if I did change them? Having a good blood sugar level can help to protect your organs and lower the risks of heart disease, stroke, kidney disease, vision problems, and nerve problems. Hyperglycaemia (high blood sugar) can cause more hunger or thirst than usual, excessive urination, tiredness and lethargy, frequent infections and blurred vision. While hypoglycemia (low blood sugar) can cause sweating, hunger, shaking, dry mouth, dizziness, a feeling of weakness and headache. With good blood sugar control, these symptoms can be alleviated and prevented from occurring. Excessive low blood sugar reading can cause anxiety and confusion in some individuals while the excessively high level of blood sugar can sometimes worsen depressive symptoms. A healthy eating plan that helps to control your blood sugar levels will help in fostering positive emotions and thus, fostering a healthier and happier you. However if instead, you chose to view your condition as a motivation for you to be healthier and reach an even better version of yourself, you will discover parts of yourself that you never knew existed. You will also start taking control of your emotions and learn to view this condition as a blessing rather than a curse. This article contributed by Hello Doktor and republished by Voiz Asia upon permission. This article was published in collaboration with Naluri. As diabetic patients become more fixated on negative thoughts, losing weight and managing other health issues can become more challenging. 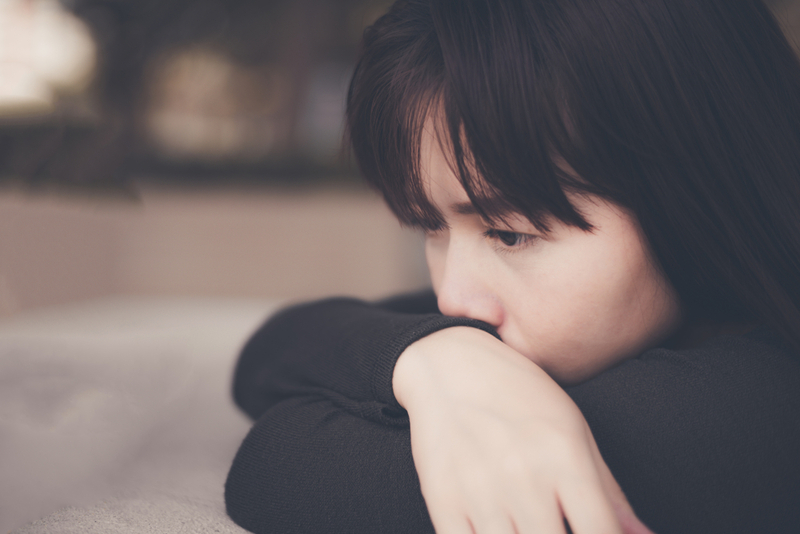 Negative emotions and anxiety affect diabetes self-care management, which is manifested through poorer diet and medication adherence, lesser physical activity, and ultimately higher health care costs. “if you don’t manage your emotions, then your emotions will manage you,” – Deborah Rozman. It is easy for one to fall into a trap of guilt, regret and self-blame of their lifestyle consequence. But it is important for us to know that there is no one who is perfect and we should learn to forgive ourselves. Let go and move on to the next step and become healthier. Being alone makes diabetes management worse as isolation can make you feel more anxious. Talk to your friends and family for support. Close family members who live with those suffering from diabetes can help by practising similar healthy eating patterns. This can be one of the most powerful ways to support your loved ones by making them feel like they’re not alone in their management plan. The ‘what if’ questions that we may encounter on a day to day basis is the fuel to our anxiety. Anxiety is a normal human emotion in the anticipation of future threat. We may feel anxious before an examination, presentation or social events. It is a natural response that helps us stay alert, focused and ready to do our best. But anxiety can become overwhelming and can interfere with our lives when in excess. Intensive, unreasonable anxiety is an indicator of anxiety disorder. People with anxiety disorder struggle with intense emotion identified by recurring intrusive thoughts and concern paired with physical changes like rapid heartbeat and increase blood pressure. Someone with an anxiety disorder may avoid being in certain situations out of intense concern or worry- which may not be real. Anxiety disorders can be classified into six main types. These include generalised anxiety disorder (GAD), panic disorder, social anxiety disorder, specific phobia, obsessive-compulsive disorder (OCD) and post-traumatic stress disorder (PTSD). 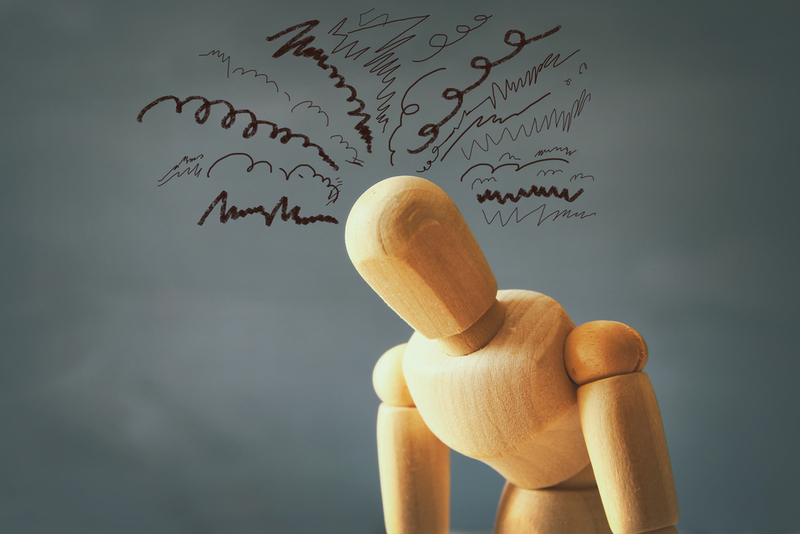 GAD is the most common anxiety disorder in which the patient struggles with excessive, long-lasting anxiety and worries about nonspecific life events, objects, and situations. Anxiety may intensify in the form of acute attack. Anxiety attack feels similar to a heart attack. It occurs suddenly with symptoms that usually lasted for few minutes, or rarely, up to several hours. It tends to peak for 10 minutes and will reduce steadily. One may feel tired, fatigue after an anxiety attack. Having constant anxiety can also take a toll on our body which not many are aware of. This involves changes in digestive systems, a risk of infection, change in cardiovascular, urinary and even respiratory systems. Anxiety disorder, like any other disorder, is something that one may learn to manage and overcome with proper help and support. “Life will never be free from challenges but we can always learn to manage, adapt and adopt a thinking pattern that is more helpful and positive,” she added. Despite the gloomy outlook of life that the patients may feel, anxiety is manageable through all the treatment options available. One of the viable treatment of anxiety disorder is through Cognitive Behavioral Therapy (CBT). It helps patients reframe negative thoughts, challenging their core beliefs via individual therapy sessions. Support groups are also available as well as self-help reading materials like books. Although severe symptoms may require medication, meditation and deep breathing or relaxation exercises can also work wonders to help you cope with the symptoms. This article contributed by Hello Doktor and republished by Voiz Asia upon permission. Hello Health Group does not provide medical advice, diagnosis or treatment. This article was published in collaboration with Naluri. 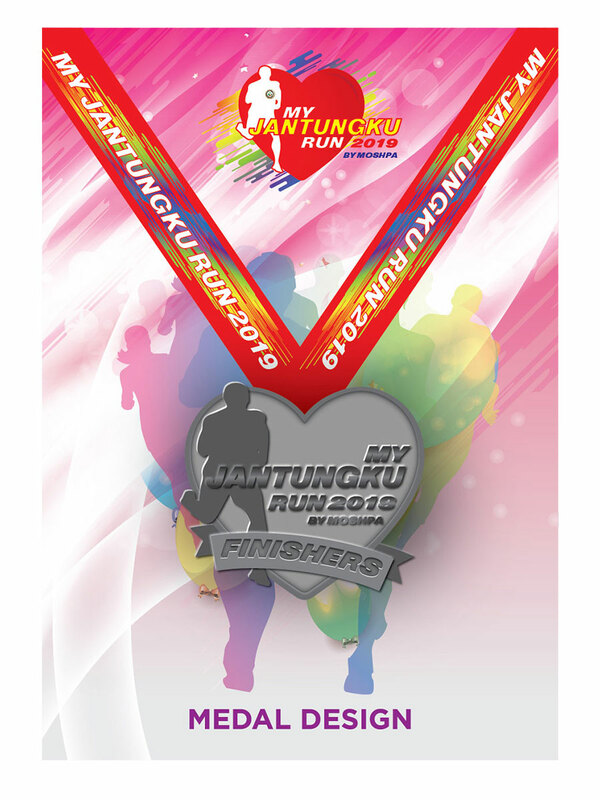 *Aina Nur Azmi is a Health Coach at Naluri – Pioneering next generation digital therapeutics combining behavioural science, data science and digital design to build the mental resilience needed to achieve your goals and overcome life’s challenges that stand in your way. You may not know everything about your body but you can gradually gain some basic knowledge about certain parts. In this topic, let’s discover 5 unique facts about colour blindness – a problem that affects the vision. To the question: what colour is a spinach leaf? Your answer must be ‘green’. However, what is green like? You and your friend, for example, do not see the same green. You can see the colour of an object because light rays come to that object, then these light rays reflect off the object, pass through your lens and cornea, focus at one point on the retina. The color of light is defined by its wavelength. This means green has a wavelength you see as green. A spinach leaf is green because its surface reflects green wavelengths and absorbs all other wavelengths. Each person sees the color of an object in a different way. This because eyes and brain work together to notice different shades of light. However, the difference is usually slight. Color blindness can be caused by the absence or improper function of cone cells. This may be because of defects in specific genes needed for the formation of these cells. Cone cells help you detect the colors. There are three types of cone cells that determine three main colors: green, red, and blue. If you have color blindness, you may not have one, two or all three types of this cell. Sometimes, color blindness can be the result of a physical or chemical damage to the eye, nerve, or brain. This can affect the color information. As you age, cataracts may appear and the lenses may become yellow. This can also lead to color blindness. Studies have shown that men are more likely to have color blindness than women. This is because the genes responsible for this condition are located on the X chromosome. Men have only one X chromosome while women have two X chromosome. In women, once the X chromosome is affected, the other can compensate. Red-green color blindness is the most common type of color blindness. It occurs when you lack of green cone and red cone photo-pigments. Red-green color blindness is a combination of red color blindness and green color blindness. Color blindness can present at birth, appear in childhood, or start when you are an adult. Although it can be annoying when you experience difficulty reading, learning, or driving, color blindness is not a serious condition. 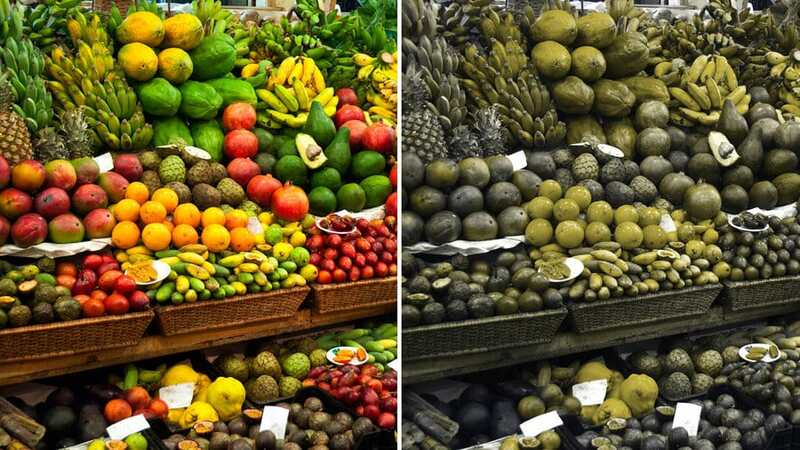 Although color blindness cannot be cured, you can live normally with it. There are ways to help if you have this condition. You can ask your doctor about lenses for people with color blindness. These lenses help you see more colors. You can use them outdoors. There are also apps on smartphones that help you recognize colours of objects.